given an explanation of the planned treatment. 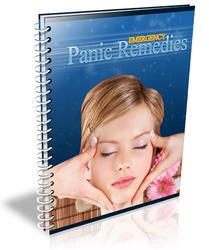 This results in better cooperation and decreases patient anxiety, improving treatment success. A bright headlight, nasal speculum, large nasal (Frazier tip) suction, and bayonet forceps are required. If the patient is monitored and stable, a small dose of IV narcotics titrated for analgesia and anxiolytic effect may be given. Extreme caution should be taken not to oversedate the patient. Also, instrumentation of the nose can lead to a significant vasovagal response that may be accentuated in a hypovolemic patient given narcotics. It is advised to err on the side of caution with regard to narcotic medication both during and after treatment. All clots should be suctioned. They can be quite tenacious and require forceps for removal. The nasal cavity should next be topically anesthetized and decongested (a mixture of 4% lidocaine and phenylephrine works well). If a bleeding site is easily identified, it may be cauterized with a silver nitrate stick. If suction, decongestion, and cautery do not stop the bleeding and the site is still thought to be anterior, an anterior nasal pack should be placed. This can be done with 0.5-inch petroleum gauze coated in antibiotic ointment. Alternatively, a variety of preformed packs are available. Merocel nasal packs or prepackaged inflatable packs are usually readily available and quite effective. Remembering that the nasal cavity extends posteriorly from the nostril and not superiorly facilitates placement. The pack should be coated in antibiotic ointment before placement. Placement of the pack can be quite uncomfortable for the patient. Discomfort can be minimized by ensuring optimal decongestion and topical anesthesia of the nasal cavity. If using a Merocel pack, it is sometimes helpful to hydrate and expand the pack before placing it. This can be done with sterile saline or phenylephrine. Although the pack appears quite large after it is expanded, it decompresses readily and slides in easily once it is covered in antibiotic ointment. The entire length of the pack needs to be grasped with the bayonet forceps if this technique is employed. Preexpansion of the pack also minimizes further abrasions and bleeding that can occur with placement of the firm pack. This technique is especially advantageous if a septal deviation or spur exists on the bleeding side. Regardless of what type of pack is used, care must be taken not to distort or overstretch the nasal ala (nostril) once the pack is in place. This causes significant discomfort and can result in necrosis of the nostril. After the pack is in place, the patient should be observed for further bleeding. If the patient remains stable, has no significant comorbid conditions, and has only a unilateral anterior pack, the patient may be discharged with mild narcotic pain medications and antibiotics for prophylaxis against toxic shock syndrome and sinusitis. The pack should be removed 2 to 5 days later, with instructions to use nasal saline and nasal ointment liberally for the next 2 weeks. Recurrent bleeding should prompt an ENT consultation. If the bleeding is not controlled with an anterior pack, the origin of the bleeding may be posterior, requiring an anterior-posterior pack. An anterior-posterior pack is inserted similar to a nasogastric tube, then inflated with the minimum amount of saline to stop the bleeding. The recommended maximum amount of inflation should not be surpassed. If a preformed anterior-posterior pack is not available or not effective, a traditional anterior-posterior pack may be placed. 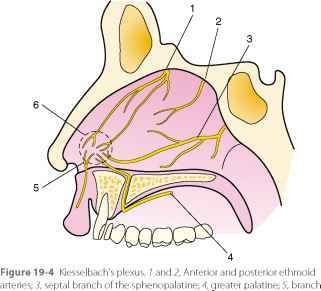 The posterior pack is necessary essentially to seal off the posterior nasal cavity and provide a buttress to prevent the anterior pack from slipping posteriorly. A Foley catheter and balloon is slid into the nasal cavity and serves as the posterior pack and buttress. Once the Foley catheter is in place, it is inflated with 5 to 10 mL of saline (or air) and pulled snugly to seal the posterior nasal choana. A large anterior pack is then placed, which should quickly control the bleeding. Placement of a posterior pack requires experience, and even if it is successfully done, ENT consultation is indicated to assist with further bleeding, pack removal, and to monitor for pack complications. Anterior-posterior packs are associated with significant patient discomfort and potential complications during and after insertion. Local complications, including necrosis of the alae, septum, and palate, can occur, and close observation is required to prevent them. Hypoxemia can also result. Supplemental oxygen and monitoring of oxygen saturation is indicated. Patients with preexisting cardiopulmonary disease require closer observation, often in the ICU. The patient might require judicious doses of narcotics for pain and antibiotics for infection prophylaxis. Rarely, epistaxis cannot be controlled with packing, requiring further intervention. This can include intraoperative endoscopic cautery, endoscopic or open arterial ligation, or angiography with selective embolization of the offending vessel. There are advantages and disadvantages to each of these techniques. In general, the surgical techniques are usually favored over embolization if there are no significant contraindications to surgery. All the surgical techniques have very high success rates. Embolization is also effective when performed by an experienced invasive radiologist, but it does carry the relatively low risk of inadvertent embolization of the internal carotid artery system and subsequent ischemic cerebral injury, which can be devastating.